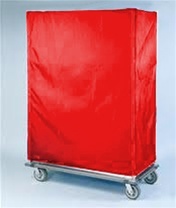 The Nexel wire shelving cart cover helps to keep the contents of your shelving units dust and dirt free. 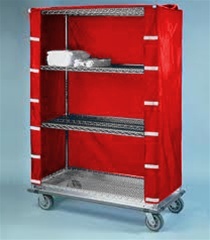 Each cover fits snugly onto one of our Wire Four Shelf Units. Please be aware that all orders are non-returnable. Please allow 14 business days for delivery. Contact us for a special size and pricing: 1.800.637.9508.